Book your next event at Bay Room! Book your next event at Bay Room on the 60th floor of 28 Liberty, the first-ever dedicated event space from Danny Meyer’s Union Square Hospitality Group, featuring panoramic views of New York City, its bridges, and waterways. 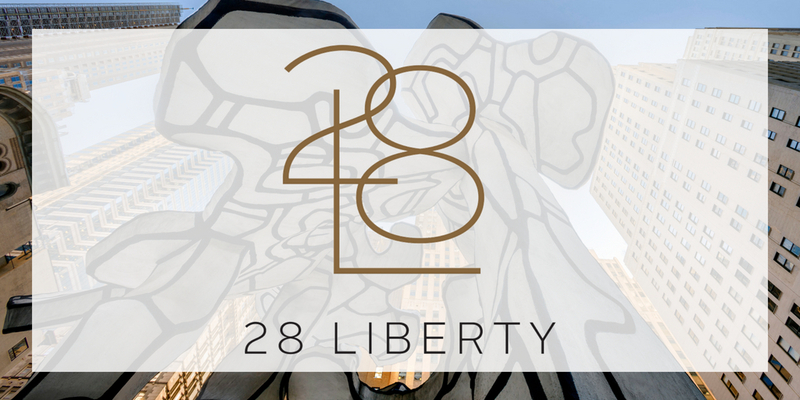 For the latest updates on news and events at 28 Liberty, subscribe to our e-mail list today! 28 Liberty offers opportunities to rent the public spaces of our property for special events, promotional activations, and commercial film and photo shoots. 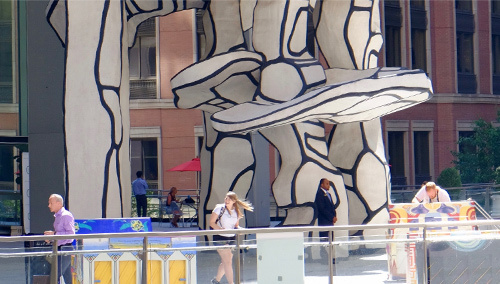 These facility fees directly support opportunities for public arts and cultural programming at 28 Liberty. E-mail zhajake.henderson@cbre.com for more information. To submit your artwork or cultural event proposal for 28 Liberty, electronic submissions are preferred (e.g. links to EPKs, websites, and social media). For artists and arts organizations, proposals must include links to live video performances or exhibition photographs. Submissions may be sent by e-mail to zhajake.henderson@cbre.com. Programming is booked months in advance. The 28 Liberty team will respond only to submissions being seriously considered for the program.